We have been serving the City of London for over 16 years. Check out our Google reviews to see what our customers are saying about us. 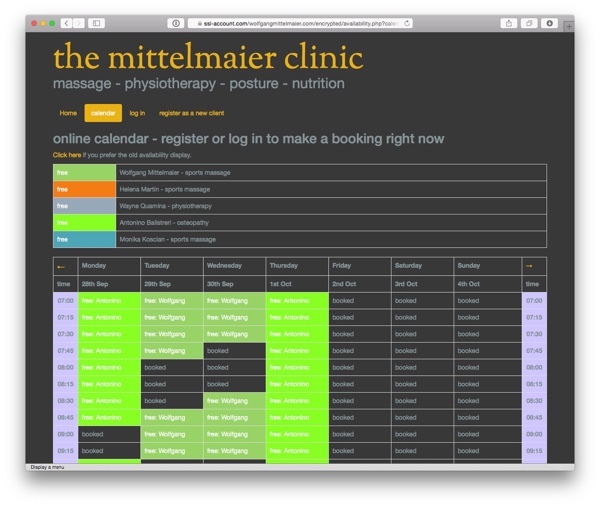 Check for available treatment slots and book online: Click here to open the full bookings calendar in a new window and here for the promo calendar. Promotions can only be booked through the promo calendar. You will often be able to find a slot on the same day. Once you have found a suitable slot, you can book it straight away online. You will receive an instant email confirmation for your booking. You can now subscribe to our newsletter and/or offer emails. - We regularly send out offers, some of which are even exclusive to email subscribers. 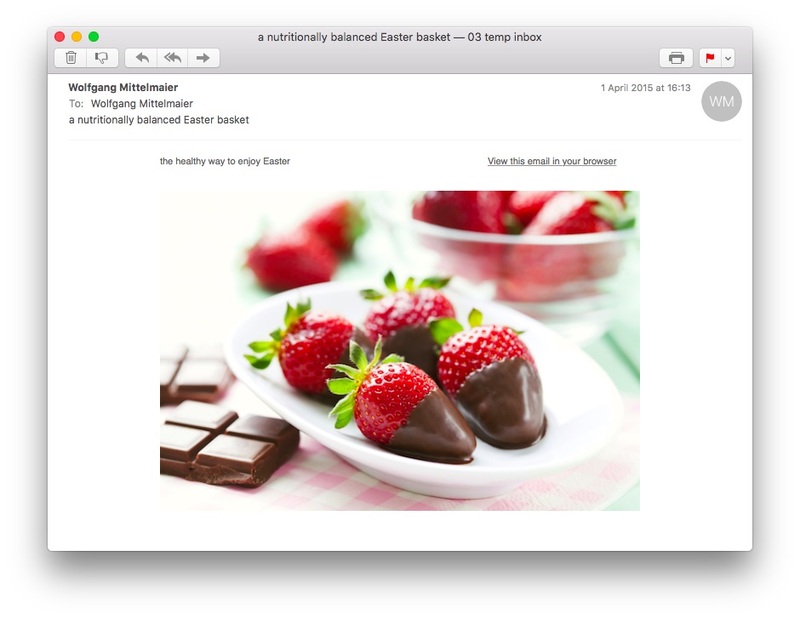 Separately, we send out newsletters with free tips of how to look after yourself and about activities connected with our clinic, e.g. our charitable activities. What is Sports and Remedial or Deep Tissue Massage? Sports and Remedial Massage or Deep Tissue Massage is a deep treatment that loosens up tight muscles, breaks up adhesions in muscle fibres, and generally focuses on restoring and/or maintaining the full functionality of your muscles. It can help your muscles perform better and prevent injury. Muscle injuries will often heal more effectively with the help of sports massage. If you have a tight neck, tight calf muscles or similar issues, or if you are recovering from an injury, several weekly sessions would be ideal. If you are fit and healthy, a monthly massage session will help you stay that way. It is in the Health and Fitness section as an online exclusive and is available in full length for free - no subscription required. 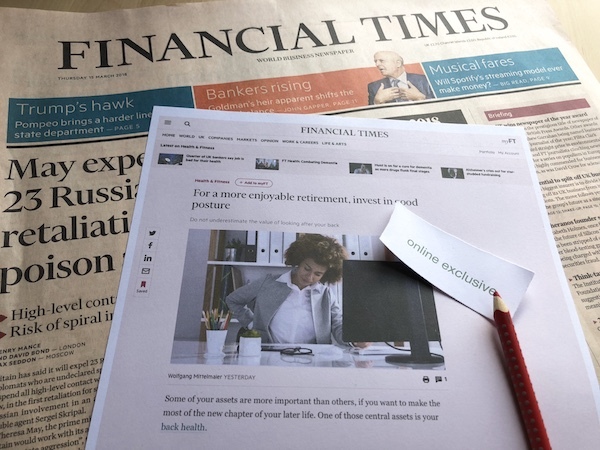 Read more about our regular newsletters, if you want to receive similar content in your Email. 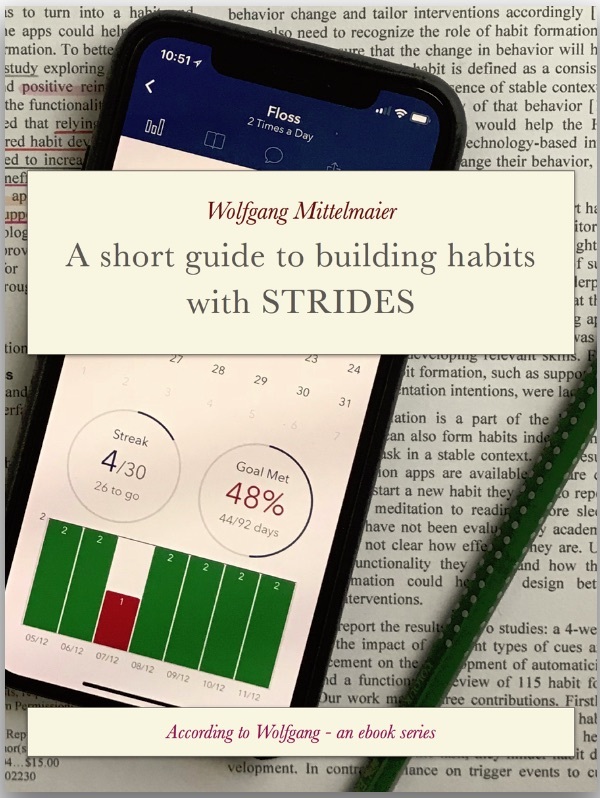 My short book on building lasting habits is now available for FREE on iTunes. 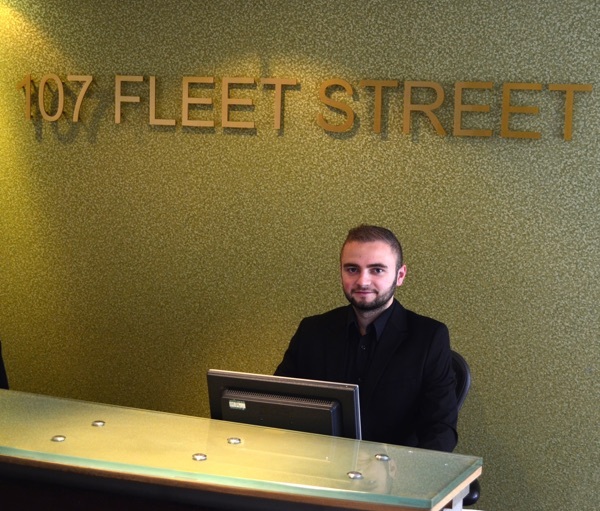 Our clinic is on 107 Fleet Street, 5 minutes walk from St.Paul's, City Thameslink, Chancery Lane and Blackfriars stations. In the past sixteen years we have treated more than 5,000 clients with a very broad range of issues. All of our therapists are fully qualified and insured and belong to some of the leading professional bodies in the industry. 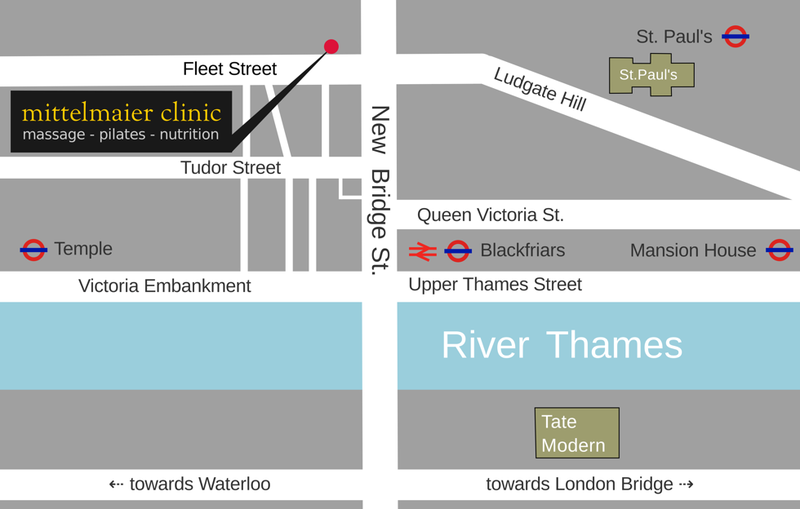 The clinic is located 5 minutes walk from Blackfriars under-ground station and 5 minutes from City Thames-link train station at no. 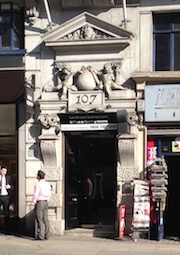 107 Fleet Street. Our clients come from all over Greater London, but many of them will be from Central London areas like Blackfriars, the Temple, St.Paul's, Holborn, Monument, Liverpool Street, London Bridge, Southwark, the Southbank, Waterloo, Charing Cross, the Strand, Fleet Street or generally anybody with easy access to City Thameslink, as we are only 5 minutes walk away from both City Thameslink and Blackfriars train stations. Please feel free to e-mail or phone us with any questions you may have. We will usually be able to get back to you the same day. At our clinic in Fleet Street, you can pay in cash or with any debit card or a VISA, MasterCard or American Express credit card. Click here to find more information about subscription discounts. Click here for more information about gift vouchers and to buy any one of them online. Home visits for sports and remedial massage can be arranged with the clinic director within Central London. There is an additional fee of £150 for the visit on top of the treatment fee, provided you have a height-adjustable massage couch with a facehole. If you do not have such a couch, the additional fee is £200 on top of the clinic director's treatment fee. You can buy treatment couches at many places, but Marshcouch builds particularly reliable, sturdy ones with a very practical height adjustment mechanism. The Institute of Sport and Remedial Massage (ISRM) is the governing body for practitioners in the UK. Click on this link to go directly to their web site to find out how you as a client can benefit from the ISRM.